Stillness sets in as moments leading up to a storm come to pass during a cloudy, fall afternoon. 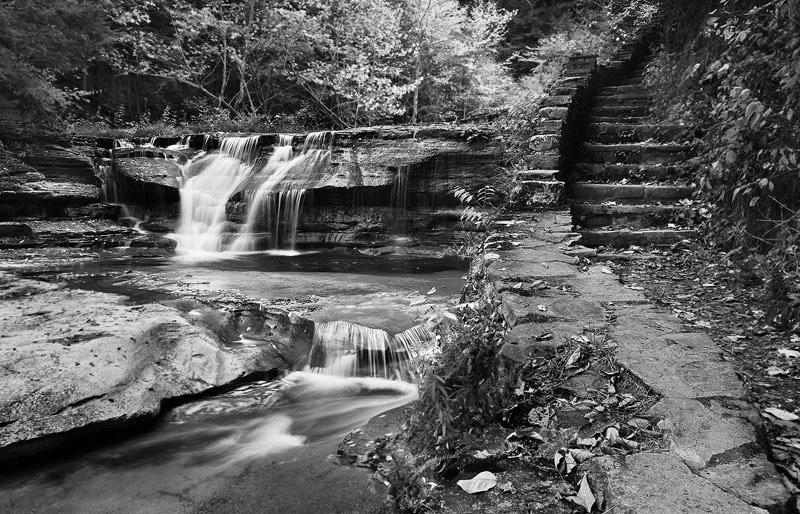 The stone footpath leading through the Robert Treman Gorge beckons the wanderer on through its waterfalls and forest of pervasive beauty. Robert H. Treman State Park is located in Tompkins County just outside of Ithaca in the Finger Lakes region of New York.